On 14 February 2017 we witnessed history. 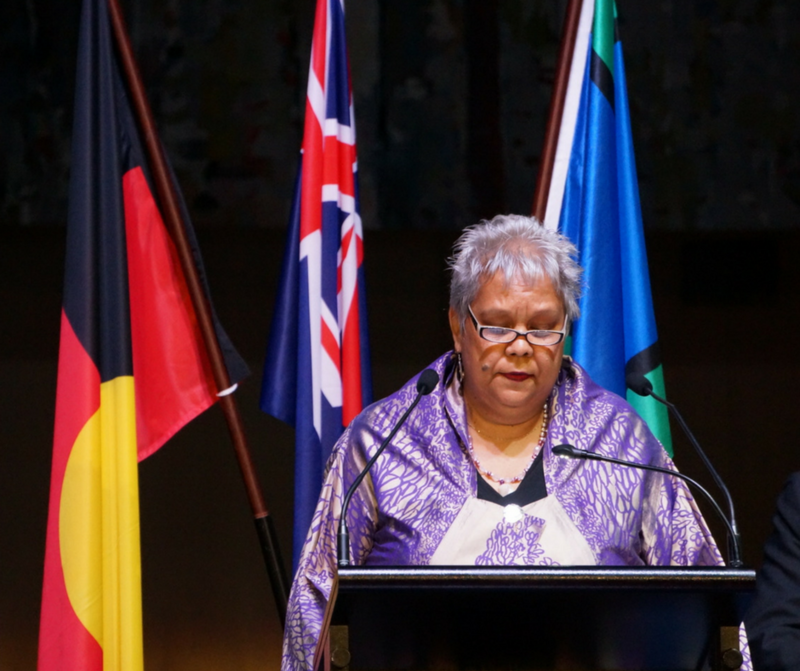 Dr Jackie Huggins, Co-Chair of National Congress of Australia’s First Peoples, handed the Prime Minister the Redfern Statement in a landmark ceremony in the Great Hall of Parliament House, Canberra. 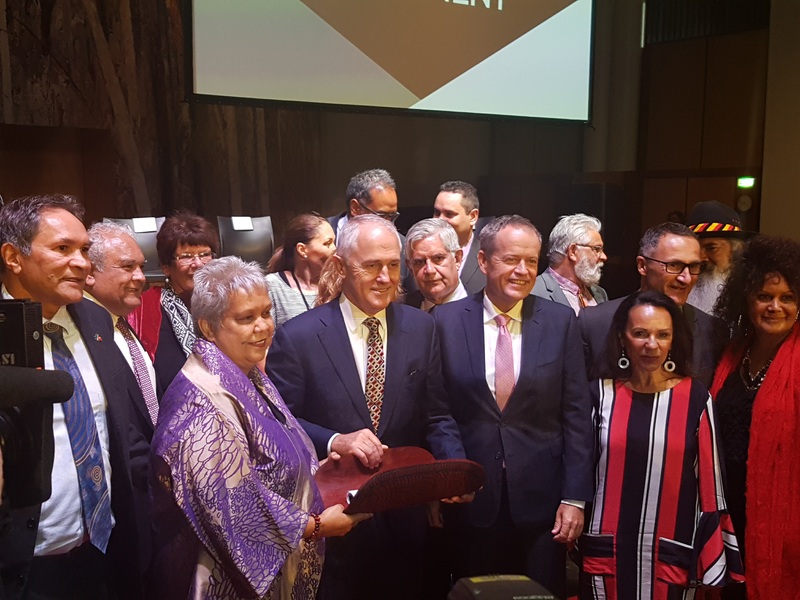 Aboriginal and Torres Strait Islander leaders carried the Redfern Statement into Parliament in a Coolamon (a traditional carrying vessel), handing it to the PM to hold on behalf of Parliament. The clock starts now for the Prime Minister to deliver the genuine, meaningful engagement called for in the Redfern Statement. Help ANTaR make the Redfern Statement blueprint a reality. We’ve had a horrendous few years in Indigenous Affairs. But the Redfern Statement represents a united, considered and comprehensive approach to addressing Aboriginal and Torres Strait Islander disadvantage. It is a clear statement of claims to be acted on by government in partnership with First Peoples. Help us ensure that the PM follows through on the calls in the Redfern Statement. Thank you for standing with First Peoples for a better way.